Splotches is rated 4.0 out of 5 by 8. Rated 5 out of 5 by srchs from A good ol' puzzle game It's a fun concept for a traditional puzzle game. I didn't love the time-based aspect, but I enjoyed the puzzles and the look and feel. Rated 5 out of 5 by llmccar from Colorful and Whimsical Puzzle Game Splotches is a fun little puzzle game with an interesting and unique paint color mixing mechanic. Some of the early puzzles are straight-forward, but they soon get pretty complicated. There are a few levels that require you to think fast, but the game lets you try them as many times as you want to really perfect that star rating. The music is fun and upbeat! Rated 5 out of 5 by lmb727 from EXCELLENT PAINT PUZZLE! This game caught my eye because of the bright colors and as an artist I was interested in a paint mixing game. The color mixing isn't that difficult. Certain colors mix to make other colors and some colors explode when mixed, and the game has a handy guide to help with that if you forget. The puzzles can get pretty difficult and some take a little planning but overall they feel fair. Your scoring is based on number of explosions and a timer. I had to play some levels a few times to get all 3 stars, but once you know how to solve it it's pretty easy to beat the timer. The game also has a puzzle maker. I haven't had a lot of time to play with that, but I will need to go back and play with it more once I finish all the puzzles. This game is a lot different that other puzzle games I've played so it's refreshing to have something new, and I love the color mixing and paint theme! 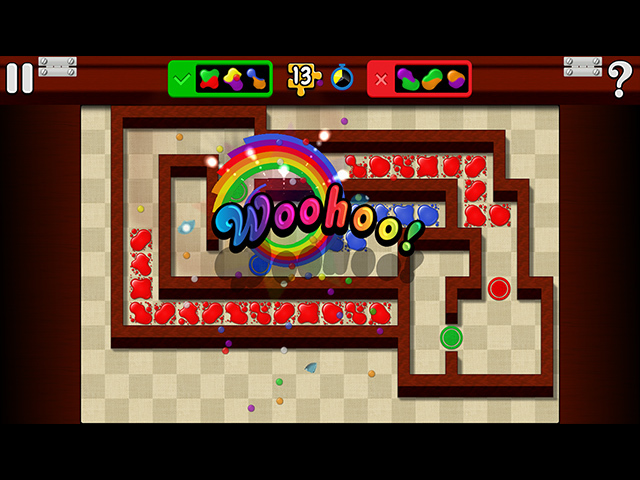 Rated 4 out of 5 by GorlocTheMad from A Humorous Versatile Puzzler! 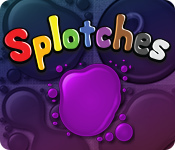 Splotches is a fun puzzle game about moving and mixing paint and creating explosions. I found the game rather enjoyable by-and-large and I think a big factor of that is how versatile the game is in regards to how much you have to think to overcome the puzzles. Levels are scored using a start system which allows me to customize the difficulty I want at any given time. In particular - one of the stars is for timed completion of the level. While you'll almost never get it on your first try, it creates an engaging challenge to plan out your moves and then an almost dexterity challenge to execute. There's also usually a criteria based star for if you don't feel like spending the mental energy to get all the stars but still push yourself a little bit. There are a few areas that could use a little polish - in particular the hover over mechanic to see explosion radii seemed a little finicky - but I think they're all minor in the big picture. Music and sound design fit well with the overall aesthetic which is silly without being distracting of overdone. A good casual puzzle experience overall! Rated 4 out of 5 by Eveoflove from You need to drag very quickly! Review based on 30 minutes of demo. Before I could trial this, I was prompted to install "Visual C++ 2017" on my Windows 10 PC; I was told I then had to reboot... not a great start! 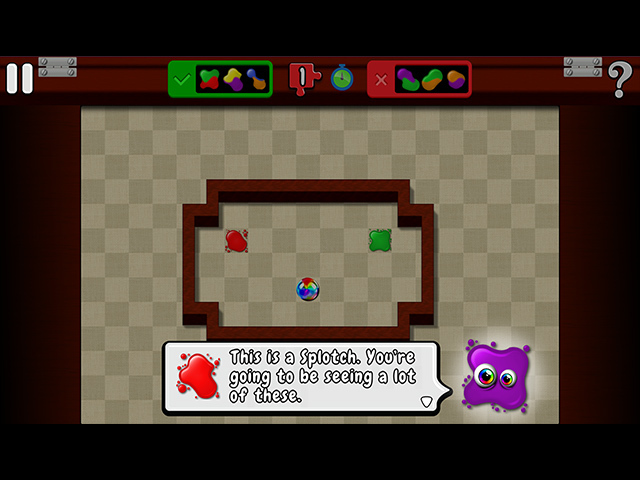 The game is based on a simple idea but built smartly: you need to explode rainbow orb(s) by dragging splotches of various colours so they combine into a brown splotch next to an orb (i.e. you make "brownsplosions"!) Lots of clever obstacles and good ideas to make this an original game. It has a "help/clue" system, a feature I consider a "must" in brain teaser games because who wants to get stuck! It lost a star because the time target of the level that you need to beat to get a 3rd star implies that you'll need to restart it with your strategy already thought/tried out just so you can execute the mechanics. Well done, but not fun for me. Rated 2 out of 5 by DoritS from Could be fun As others have commented already, the unrealistic time limit takes away the fun. It actually made the game stressful to me. Rated 2 out of 5 by pennmom36 from SPLOTCHES HAS POTENTIAL BUT NOT AS A TIMED GAME I love games like this where you can strategize your moves to obtain the best possible outcome scenario, but this game requires you to plan your moves on the fly at break-neck speed! It would be an awesome game if it were based on the number of moves it takes you to complete the goals rather than the time it takes you, which clearly isn't enough on most of the 120 available levels. The object of the game is to drag one specific color to another that when mixed will create the color Brown which will cause the colliding colors to explode. Each level has a Rainbow Orb that must be exploded so you will need to create the Brown explosion next to the Rainbow Orb. At first, the only two colors available are Red and Green, but as you progress, more color Splotches are added so Yellow + Purple, Blue + Orange will also create a Brown explosion. Obstacles are added as well, as you progress. Circular Filters only allow matching colored Splotches to cross over them, and you will need to cross over all Filters that contain Keys before exploding the Rainbow Orb so you have to be careful to not remove Splotches that will be needed to complete the final goal. 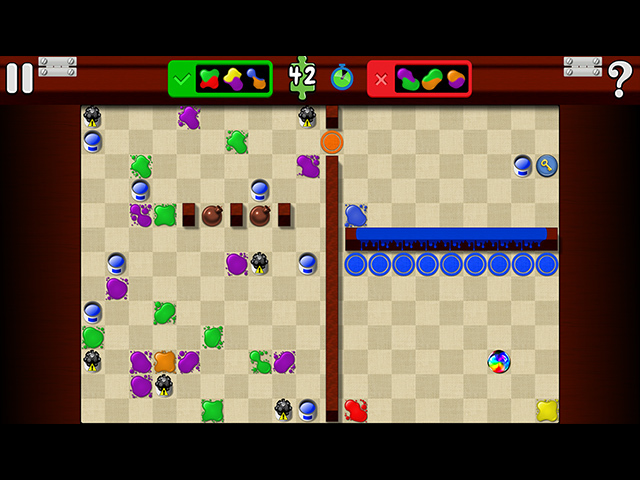 Eventually, Painted Walls, Pipes, Arrows, and even bombs are added to increase the challenge level. You can replay levels as often as you'd like, but as I stated earlier, completing the levels with 3 stars is nearly impossible if you hesitate for even a second! There are also 40 do-it-yourself Levels available. You start with a Blank Grid and can choose the color of your Splotches and where they are located as well as add the Obstacle Types and where they are located. This game had real potential, but I'm not content with only earning 2 stars because I didn't move wicked fast. Simply tweaking or adding the option to choose to play w/o the timer basing the end results upon how many moves it took you would allow the player to plan their strategy. The synopsis states that there are 30 minutes of relaxing music to solve by, what happens in 31 minutes, does the music stop?